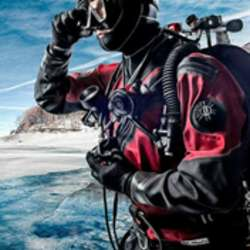 Want to dive but put off by the cold northern German winter weather? Then why not try to extend your scuba diving season by using dry suit? A dry suit seals you off from the water and keeps you comfortable, even in surprisingly cold water. There is incredible diving in the world’s cooler regions and in some areas, conditions are even better in colder months. This Dry Suit course includes one evening of theories and a certification. The two diving session will be held on April 7, and you will need to have or rent the equipment. The course will be offered in German and/or English depending on the demand.